Dr. Cindy Steward, ND, DC, was born and raised in Kansas. 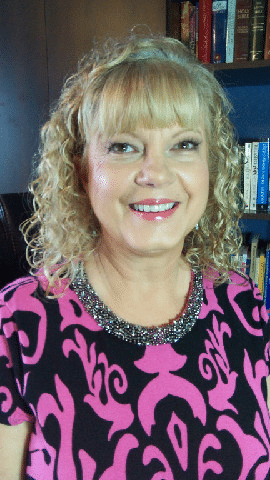 She graduated with a Biology Degree from Bartlesville Wesleyan College, a Nutrition Degree from Park College, a Doctor of Naturopathy, and she received her Doctor of Chiropractic from Parker Chiropractic College. She has two children which have been an absolute delight in her life. Her son, Anthony, is a United States Marine with a Business Degree, and her daughter, Joy, was a sports broadcaster and is now a chiropractor. Dr. Cindy Steward married Dan Steward in April 2010 and moved to the Austin area. Dr. Steward’s pastimes include; scuba diving (Fiji, St. Thomas, Bahamas) gardening, swimming, cooking, piano, music and taking ongoing training in natural medicine every year. But, the most exciting times are spent playing with the 6 awesome grandchildren. Dr. Steward developed an interest in natural health at a very young age. After having multiple ear infections, tonsillitis, colds, high fevers and repeated cases of the flu, doctors gave up on repeat rounds of antibiotics and recommended surgery. Her parents decided to take her to a chiropractor before proceeding with the surgery. A few adjustments improved her health to the point where she never had another ear infection and all other illnesses cleared up. This was the starting point for her pursuit of natural alternatives. Dr. Steward works with pregnant women, newborns (even going to the home births or hospital to treat the baby as soon as it is born), children of all ages, and athletes, Her oldest patient was 103 years of age. Dr. Steward has implemented DNA testing combined with Applied Kinesiology testing to custom design a nutritional program based on your unique genes. She takes great joy in helping people get their quality of life back. Fifteen years ago I had my very first Thermography Breast Scan. I immediately wanted to have a Thermography unit in my clinic to help all of my patients with earlier detection. I am on a mission to help everyone who is interested to transform their bodies into the healthiest they can possibly be. This is life changing for themselves, their spouses, children, friends and extended families. Thermography is one of the excellent tools available to help you learn about what it going on inside your body.